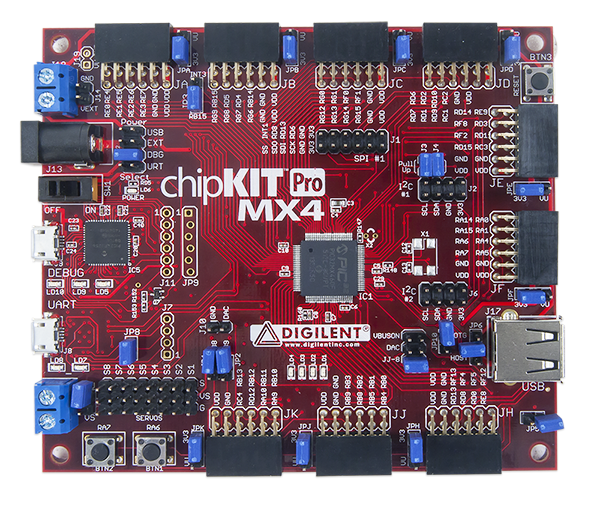 The Pro MX4 is a microcontroller development board based on the Microchip PIC32MX460F512L, a member of the 32-bit PIC32 microcontroller family. 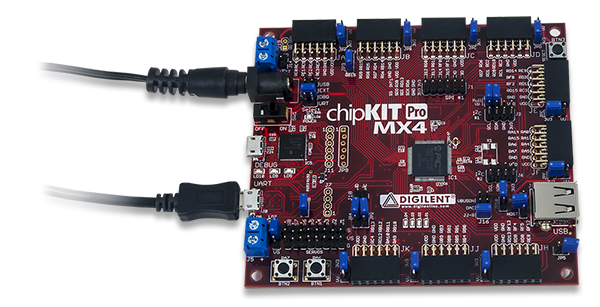 It is compatible with Digilent’s line of Pmod™ peripheral modules, and is suitable for use with the Microchip MPLAB® IDE tools. 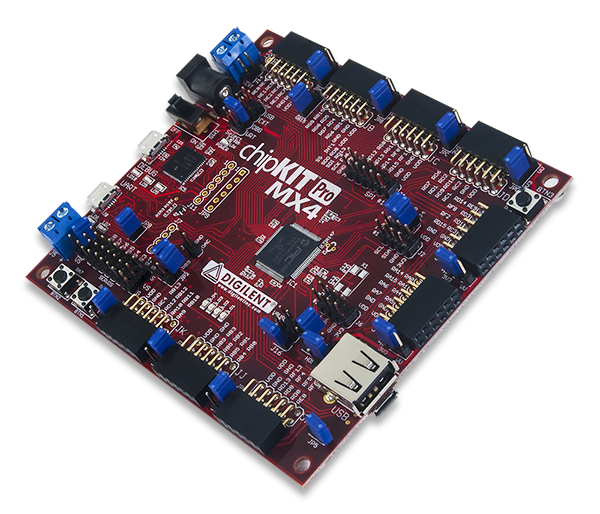 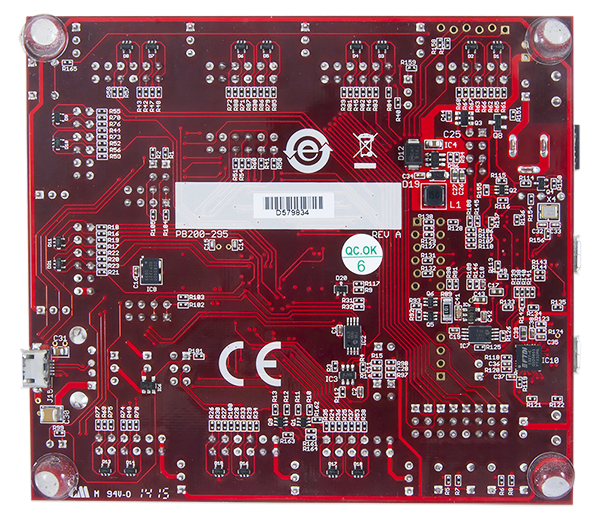 The Pro MX4 is also compatible for use with the MPIDE development environment. 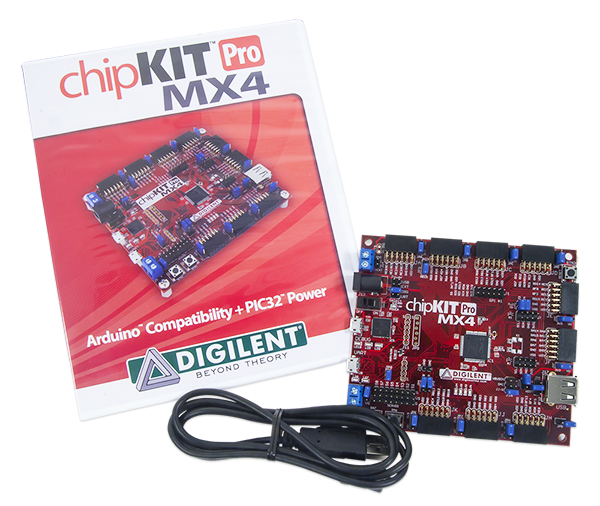 MPIDE is a PIC32 based system compatible with many existing Arduino™ code examples, reference materials and other resources.